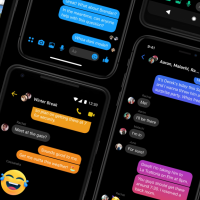 After previously only existing as an "Easter Egg" setting, Facebook in April 2019 added a Dark Mode theme as an official display feature of its standalone Messenger app. Facebook says that Dark Mode is designed to provide less harsh brightness in situations where ambient lighting is lower while maintaining contrast and vibrancy. If you have an OLED iPhone, such as an iPhone X, iPhone XS, or iPhone XS Max, enabling Dark Mode can also conserve battery life, since black pixels in an OLED panel basically switch off and consume far less power. Enabling Dark Mode in Facebook Messenger is easy – simply follow the steps below. 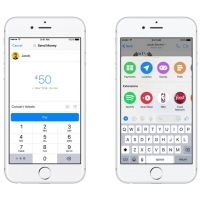 Launch the standalone Messenger app on your iPhone. Tap your profile picture in the top-left corner of the screen. Toggle the Dark mode switch to the green ON position. And that's all there is to it. If you don't see the Dark Mode switch in the settings menu, try force-quitting the iPhone app and launch it again, then follow the steps above. 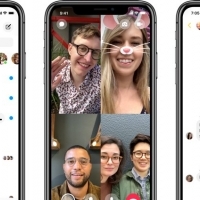 With the release of iOS 11, Apple nixed its built-in integration with Twitter, Facebook, Flickr, and Vimeo, a feature that allowed iPhone and iPad users to store their third-party account information and access it within apps that needed to use those services. The equivalent feature remains in macOS High Sierra, although Apple has removed it completely from macOS 10.14 Mojave, which many users are likely to welcome in light of the recent data scandal.. While we wait for macOS Mojave to be released in the fall, this article shows you how to manually remove third-party accounts like Facebook from Macs running macOS 10.13. 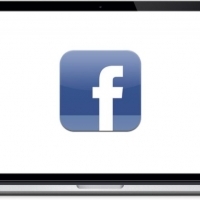 Note that the following guide only deletes associated third-party accounts at the system level of your Mac – you'll still be able to access your Facebook account and related data by logging into Facebook.com (where you can delete your account permanently) or via the official iOS app, for example. Facebook today announced that during a routine security review it discovered "some user passwords" were stored in a readable format within its internal data storage systems, accessible by employees. As it turns out, "some user passwords" actually means hundreds of millions of passwords. 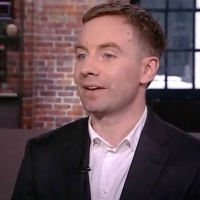 A Facebook insider told KrebsOnSecurity that between 200 and 600 million Facebook users may have had their account passwords stored in plain text in a database accessible to 20,000 Facebook employees. Some Instagram passwords were also included, and Facebook claims many of the passwords came from Facebook Lite users. Facebook says that there's no "evidence to date" that anyone within Facebook abused or improperly accessed the passwords, but KrebsOnSecurity's source says 2,000 engineers or developers made around nine million internal queries for data elements that contained plain text user passwords. 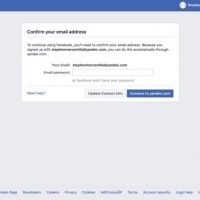 Facebook employees reportedly built applications that logged unencrypted password data, which is how the passwords were exposed. Facebook hasn't determined exactly how many passwords were stored in plain text, nor how long they were visible. Facebook plans to notify users whose passwords were improperly stored, and the company says that it has been looking at the ways certain categories of information, such as access tokens, are stored, and correcting problems as they're found. "There is nothing more important to us than protecting people's information, and we will continue making improvements as part of our ongoing security efforts at Facebook," reads Facebook's blog post. Facebook CEO Mark Zuckerberg this morning penned a new missive outlining the company's plan to create a "privacy-focused messaging and social networking platform." 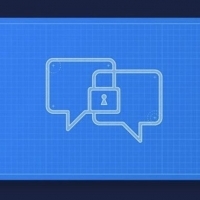 Facebook's new privacy-focused platform, which will see its core apps overhauled, will, according to Facebook, be built around principles that include private interactions, end-to-end encryption, ephemeral messages, safety, interoperability, and secure data storage. Zuckerberg says that its services will be rebuilt "around these ideas" over the course of the next few years, and that as Facebook implements these changes (to both Facebook and Instagram), the company will be "taking positions on important issues concerning the future of the internet." These changes will be implemented "openly and collaboratively, and Zuckerberg points out that many people likely won't believe Facebook is able to build such a privacy-focused platform.I understand that many people don't think Facebook can or would even want to build this kind of privacy-focused platform - because frankly we don't currently have a strong reputation for building privacy protective services, and we've historically focused on tools for more open sharing. But we've repeatedly shown that we can evolve to build the services that people really want, including in private messaging and stories.The rest of Zuckerberg's article goes into more detail about each of the core principles that Facebook will be building its social networks around. 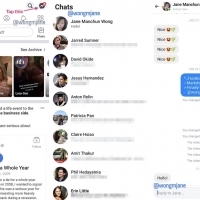 For Messenger and WhatsApp, Facebook will focus on making them "faster simpler, more private and more secure"
Over the weekend, it was discovered that Facebook had hidden a "Dark Mode" toggle in the latest version of FaceBook Messenger. 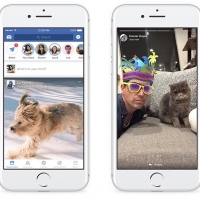 On Monday Facebook confirmed the release of the hidden feature but also promised a full roll out in the "coming weeks." Dark mode in Facebook Messenger can be enabled by sending a crescent moon emoji in Messenger. Facebook describes the process as "Simply send a crescent moon emoji –  – in any Messenger chat to unlock the setting and prompt to turn on dark mode." That said, many have found they may need to force quit Messenger or even reinstall it for the Dark mode to activate. There's been no word on a dark mode coming to Facebook proper. Facebook also demonstrates that you can improve the look of your chats by tapping on the name, and selecting a custom color or gradient. 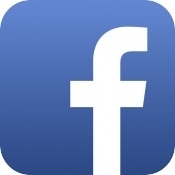 Facebook is no longer able to use or distribute important internal iOS apps after Apple disabled the Enterprise Certificate Facebook was abusing to surreptitiously gather data from iOS users right under Apple's nose. 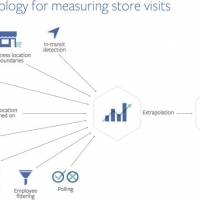 Since 2016, Facebook has been paying teens and adults $20 per month to install a data gathering "Facebook Research" app that harvested all kinds of sensitive details from participants. 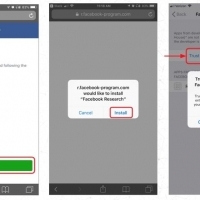 Facebook abused its enterprise certificate to get customers to install a "Facebook Research app Apple had already banned Facebook's attempts to gather data through the Onavo VPN app, so Facebook used its enterprise certificate - provided to companies to install and manage internal apps for employees - to get participants to sideload the Facebook Research app, bypassing the App Store and Apple's oversight. Facebook yesterday said that it was not violating Apple's enterprise rules, but as it turns out, Facebook was wrong. Apple this morning revoked Facebook's enterprise and said the social network had clearly violated the Enterprise Developer Program.We designed our Enterprise Developer Program solely for the internal distribution of apps within an organization. 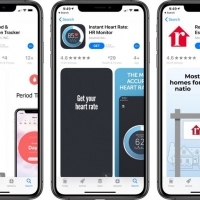 Facebook has been using their membership to distribute a data-collecting app to consumers, which is a clear breach of their agreement with Apple. 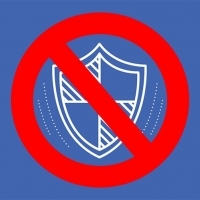 Any developer using their enterprise certificates to distribute apps to consumers will have their certificates revoked, which is what we did in this case to protect our users and their data.Facebook's revoked certificate wasn't just used for the Facebook Research app.